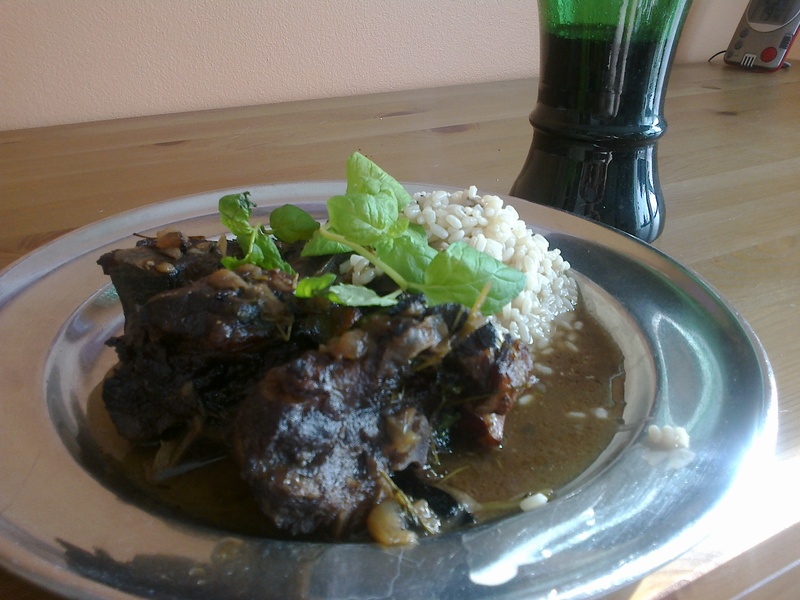 To make an Haricoc of Mutton. Set it raw, in chunks, to sautee in good rendered lard, along with finely chopped onions, wine, verjuice and good bouillon; at the end, [add in] pennyroyal and hyssop. Boil everythhing well together. Scully, T. 1997. The Vivendier, A Fifteenth-Century French Cookery Manuscript. Prospect Books. Devon. 70. Ruskista lammas pannulla pilkotun sipulin kera, lisää nesteet ja anna hautua hiljalleen kunnes liha on kypsää. Mausta tuoreella tai kuivatulla mintulla ja iisopilla. Helppoa, erittäin yksinkertaista ja hyvin, hyvin maukasta! Heat a pan, and sauteé the chopped onion and the mutton. Add the liquids, and let simmer slowly until the meat is done. Add the herbs. Simple, easy to make and very very tasty!